Band of Brothers is a musical collaboration between 7 top flight musicians: 3 brothers and 4 life long friends. This latest musical iteration was born of a desire to revisit their musical roots and celebrate a lifetime of musical experience with their friends. There's no one like Mr. Kelley. 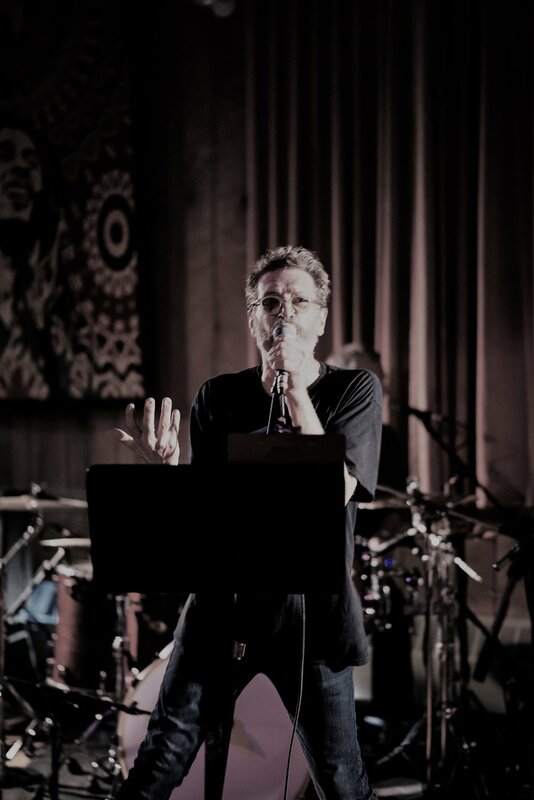 Best known as the front man for Boston-based 80's avant garde rock band Rods and Cones, Chris has collaborated with various artists, including a recent cameo appearance on a Mickey Hart track. His collection of songs entitled "The San Pablo Sessions" is available from Voxpapa Publishing. When he's not entertaining audiences, Chris can be heard as the iconic voice of ESPN's Sports Center, where he's been their signature voice for more than a decade. Joe is a long-time fixture in the Sonoma County music scene, having appeared with various acts, including Black Market Blues, and even making a cameo appearance with Marshall Tucker at the Mystic Theater. Joe's other accomplishments include founding Two Rock Amplifiers, a boutique amp that is played by artists including Matt Schofield, Oz Noy and Eric Johnson, among others. 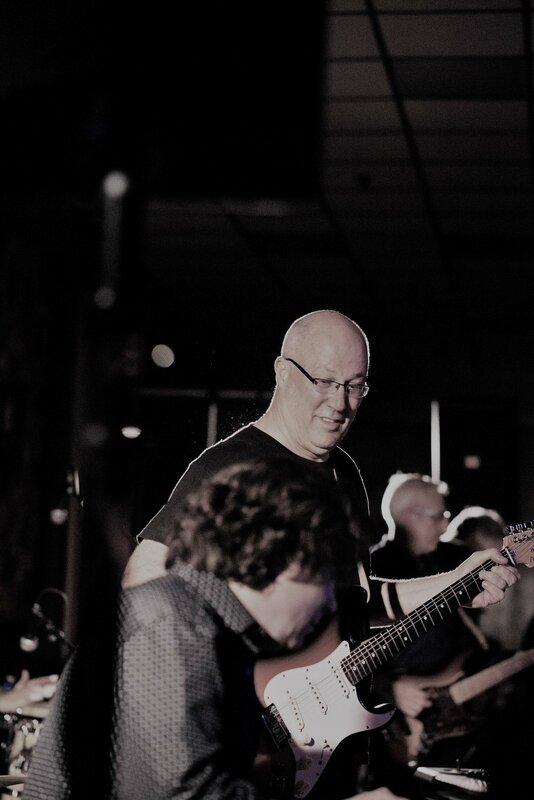 Bob is a Boston-based guitarist, and leader of Downtime, a fixture in the club scene for nearly four decades. Bob's funky rhythm guitar and soaring leads are the perfect compliment for the Band of Brothers sound. For more on Downtime, check out our video gallery. Band of Brothers wouldn't be the same without the keyboard atmosphere laid down by Jim. As the keyboardist for the Allman Brothers tribute act The Peach Eaters, Jim has honed his craft over the years, in numerous clubs and other venues up and down the East Coast. When he's not creating atmospherics, Jim is a sound editor for WGBH public television in Boston. Steve has been playing bass and guitar for over three decades, dating back to Rough and Ready, a Boston-based bar band in the late 70's and early 80's. More recently, he's collaborated with Joe and Chris on Black Market Blues in Sonoma County. His rock solid foundation lets the Brothers' guitar and keyboards take off in all kinds of musical directions. Steve is also well known as a radio industry veteran here in the Bay Area, managing stations such as Alice, Live105 and more recently KBLX and The Game. Jim "Bongo Fury" DiNardo is the mastermind behind Band of Brothers. Conceived as a musical concept more than two years ago, it's been tirelessly promoted by Jim ever since. Jim's percussion sound was honed over many years backing up Rods and Cones with Kelley and his brother Chris DiNardo during the 80's back in Boston. More recently, he's been the percussion go-to guy for Downtime and other Boston area bands. Chris has been jamming with various artists in the Bay Area since relocating from the East Coast back in the early 90's. 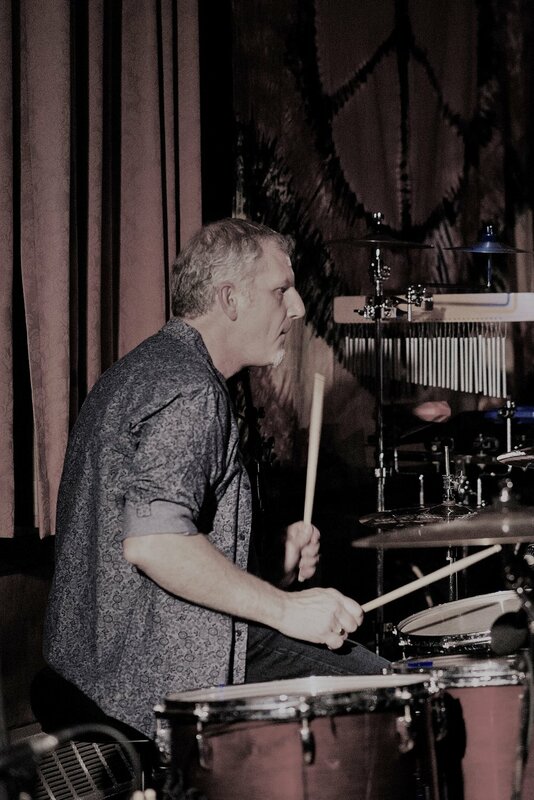 As the drummer for Rods and Cones during the 80's, he developed a rock-steady style that's perfect for the classic rock sound of Band of Brothers. More recently, he's played with SF bands The Hairdressers, Daniel Foulsham, Acme Blues and Black Market Blues. I will be in Connecticut, in TWO HOURS! !